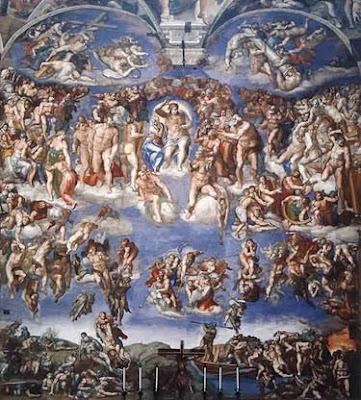 Check out this post--someone else fell back into the Armageddon Camp, probably because he didn't want to be saddled by the moniker of The Great Delusion. Whatever his feelings today, his letter is always a good read, and you can find his site here. While Obama relaxes in Hawaii, sipping Mai Tai’s adorned with little umbrellas and hooking up with distant relatives, a potential nightmare is giving him sleepless nights. Let’s say we spend our $2 trillion in stimulus and get a couple of quarters of decent growth. The “V” is in. Then once the effects of record government spending wear off, we slip back into a deep recession, setting up a classic “W.” Unemployment never does stop climbing, reaching 15% by year end, and 25% when you throw in discouraged job seekers, jobless college graduates, and those with expired unemployment benefits. This afflicted Franklin D. Roosevelt in the thirties. So Congress passes another $2 trillion reflationary budget. Everybody gets wonderful new mass transit upgrades, alternative energy infrastructure, smart grids, and bridges to nowhere. But with $4 trillion in extra spending packed into two years, inflation really takes off. The bond market collapses, as China and Japan boycott the Treasury auctions. The dollar tanks big time, gold breaks $2,300, and silver explodes to $50. Ben Bernanke has no choice but to engineer an interest rate spike to dampen inflationary fires and rescue the dollar, taking the Fed funds rate up to a Volkeresque 18%. %. The stock market crashes, taking the S&P well below the 666 low we saw in March. Housing, having never recovered, drops by half again, wiping out more bank equity, and forcing the Treasury to launch TARP II. The bad news accelerates into the 2012 election year. Obama is burned in effigy; Sarah Palin is elected president, and immediately sets to undoing all of his work. Republicans, reinvigorated by new leadership, and energized by a failing economy, retake both houses of congress. National health care is shut down as a wasteful socialist mistake, boondoggle subsidies for alternative energy are eliminated, and the savings are used to justify huge tax cuts for high income earners. We invade Iran, and crude hits $500. If you’re over 50, and all of this sounds vaguely familiar, it’s because we’ve been through it all before. 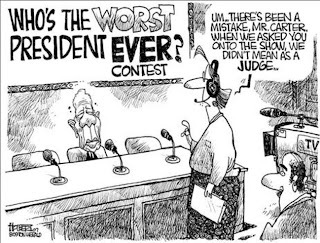 Remember Jimmy Carter? Remember the “misery index,” the unemployment rate plus the inflation rate, which hit 20, and catapulted Ronald Reagan into an eight year presidency? A replay is not exactly a low probability scenario. This is why junk bond yields are still stubbornly high at 12.5%, and credit default swaps live at lofty levels. It’s also why the investing public is gun shy, favoring bonds over stocks by a ten to one margin. Are the equity markets pricing in these possibilities? Not a chance. The risk of economic Armageddon is still out there. Personally, I give it a 50:50 chance. Batten the hatches, and please pass the Xanax. "Today the letter is read by over 100,000 a day in more than 100 countries, including Burma, Canada’s Yukon Territory, Zimbabwe, Malawi, and Kazakhstan. I didn’t even know they had Internet access in these places. About 3,000 new hedge fund managers, professional investors, day traders, and assorted voyeurs visit the site every day. Three of 12 sitting Federal Open Market Committee members read the letter. Some 400 a day download a Hedge fund Radio program. I am widely read by the US military in Iraq and Afghanistan, and especially by the Navy, where it seems sailors have unlimited computer time aboard ship to educate themselves for careers in the financial markets. More than 3,000 a day use Google’s translation software to read the letter, and I almost wonder if it is enhancing what I am saying to generate such broad international interest. It appears that everyone in the American homeland wants to understand what’s happening in New York and Chicago, while those abroad are desperate for insights into the USA." I don't know how accurate Alexa is, because sometimes it is enormously fickle, but this site has a higher Alexa rating than his. And I don't have 100,000 readers a day, with 3,000 additional new visitors, and another 3,000 people using Google translation software to read my blog. Maybe someone exaggerates just a bit? And maybe someone else also exaggerates the Armageddon scenario! 50/50 chance of Armageddon? There is exactly ZERO chance of that happening. Because Armageddon isn't going to happen anytime soon. For those not versed in eschatology, that is the Battle at the End of the World, which follows the 7 year Great Tribulation. 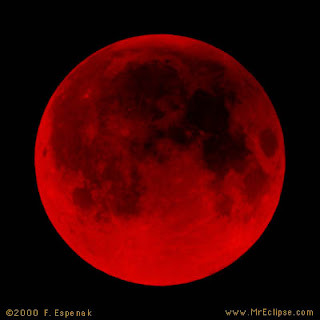 The moon has to turn blood red which means you need a total lunar eclispe. But why let facts get in the way of a good story! !